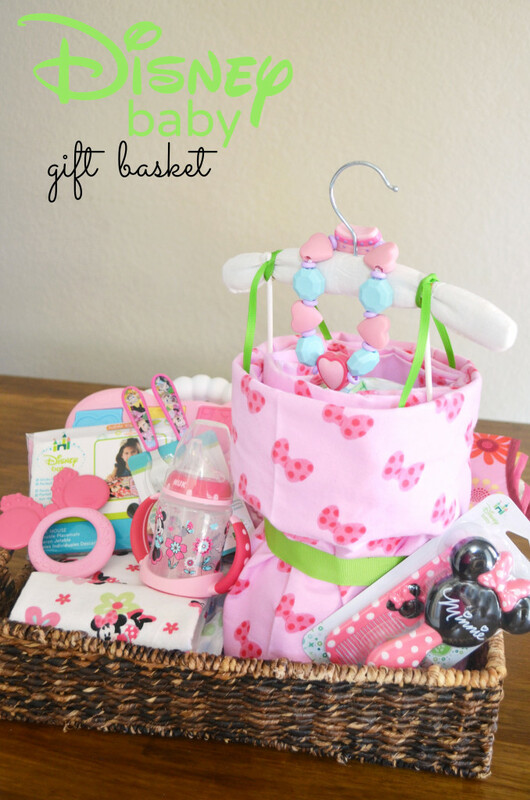 Gift baskets make the perfect baby gift. They are unique, and a fun way to mix a variety of products into one gift. 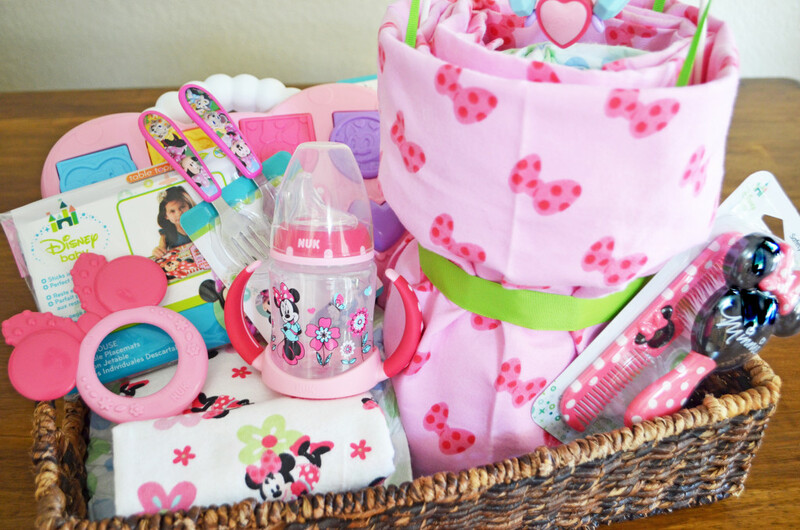 For this gift basket #CollectiveBias sent me out to stock up on Disney Baby products for a special mom in my life. There were many new arrivals in the past 6 months, but I decided my niece would be the perfect little princess to receive this fun baby gift basket. Creating a gift basket is an easy way to personalize a gift that meets the needs and style of the parents. Our little gift receiver is just about that age when solids will be introduced so we went with a basket themed towards this milestone: lots of feeding supplies, teethers, and toys for that sitting up stage. The first step is selecting a basket and the fillings. I tend to opt for something that can be used to organize all the baby things. Functional gift wrap is a great way to save and give parents something we can all use more of, storage. I could supply an entire city with the gift bags from my shower. Canvas cubes, bins, or stylish baskets are a great option for the perfect gift wrapping. Next, determine what you are going to fill your basket with. You may need to use tissue paper, basket filler, or some soft plush items like diapers, wipes, or blankets to give your basket height and dimension. Start arranging your basket by placing your larger items first. For this basket the diaper cake took center stage. Then start filling in the other items around. I grabbed some of my favorite items from the Disney Baby line at Walmart. The brushes, teether, cutlery, and bibs were perfect for filling in the empty space between the larger items. Cellophane or a large baby blanket make a great alternative to traditional gift wrap. 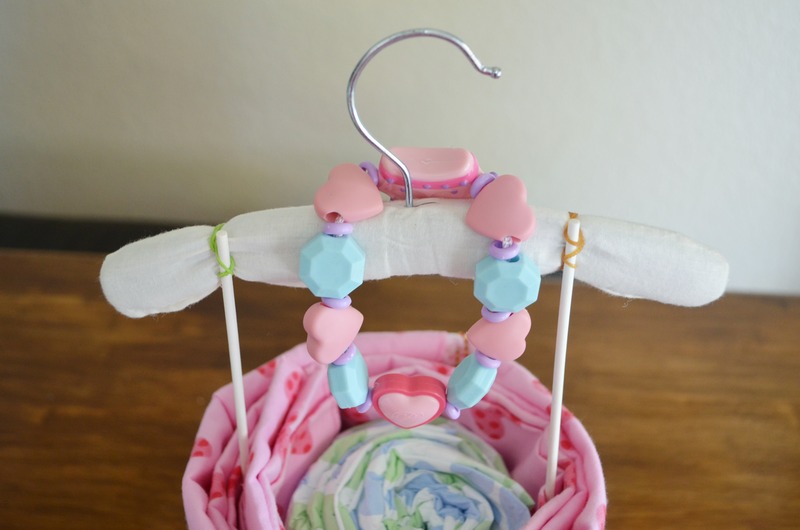 Tie it off with ribbon and a small toy like a teether or rattle. And no baby gift would be complete without a diaper cake. 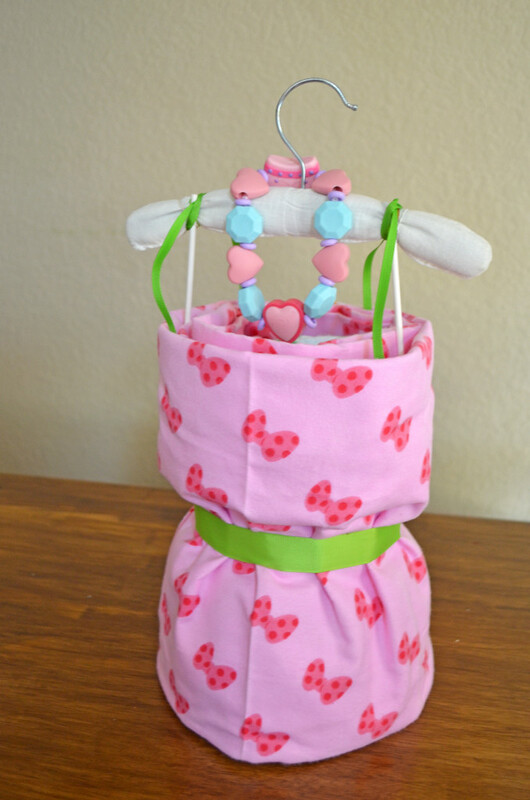 I continued with the Minnie/Princess theme and created a dress stuffed with baby essentials. 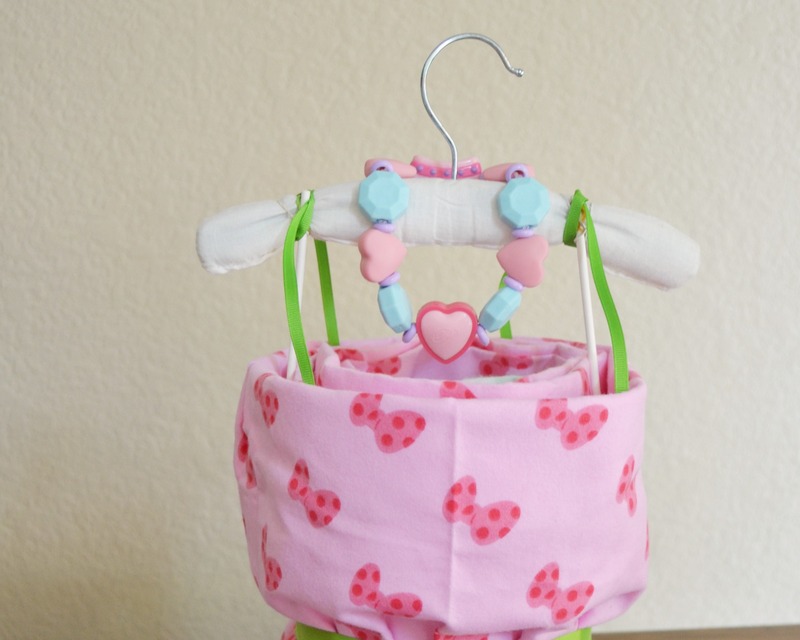 This was my very first diaper cake and I can tell you it is SO easy. With just a few supplies: diapers, blankets, hanger, rubber bands, paper clips, ribbon, and lollipop or popsicle sticks. 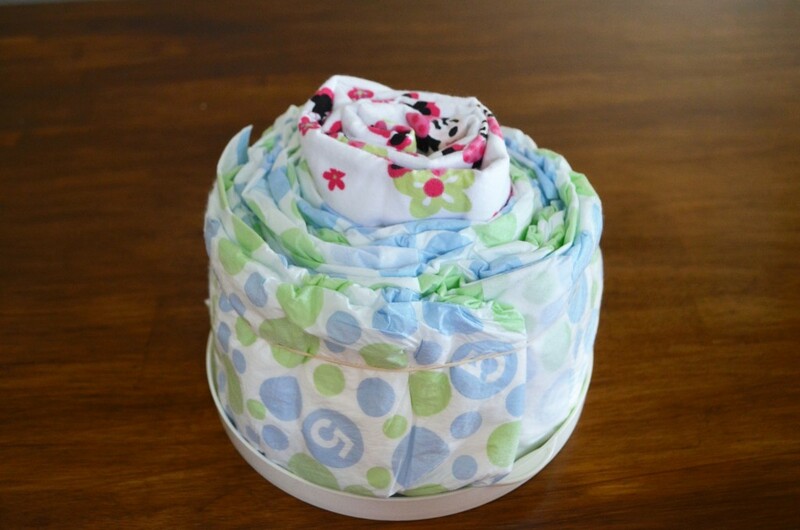 Set aside diapers in stacks of 2, 5, and 9. Roll a flannel blanket into a tube, secure with a rubber-band. Fan 9 diapers around the flannel blanket, leaving an inch of blanket exposed. 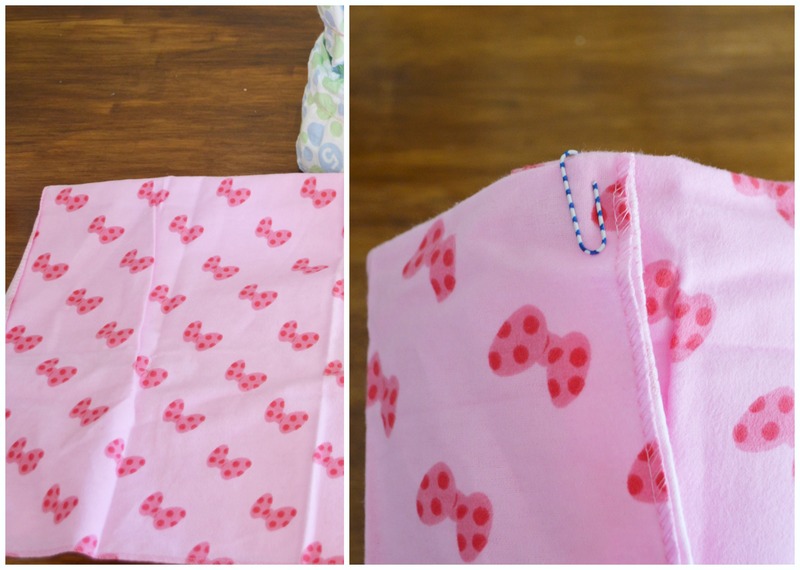 Place a rubber-band around the top of the diapers; creating the skirt. Tightly roll two diapers and secure with a rubber-band. 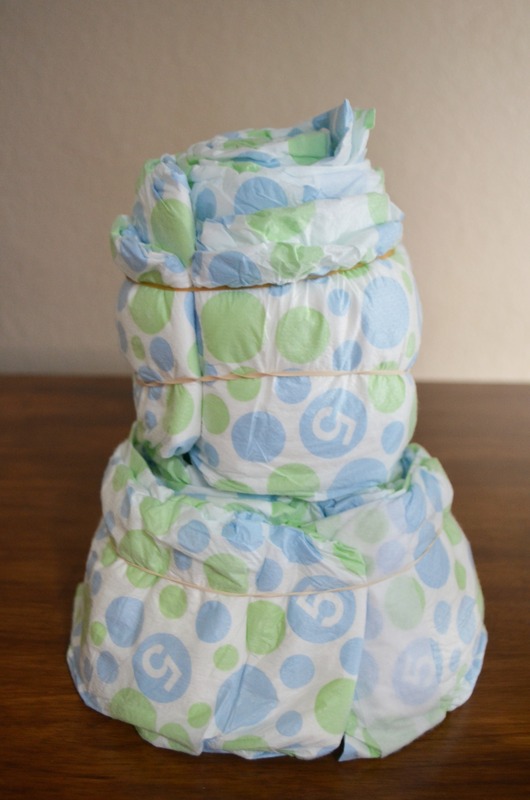 Wrap the remaining 5 diapers around the tube of diapers. Place on top of the first layer. Fold another flannel blanket in half. 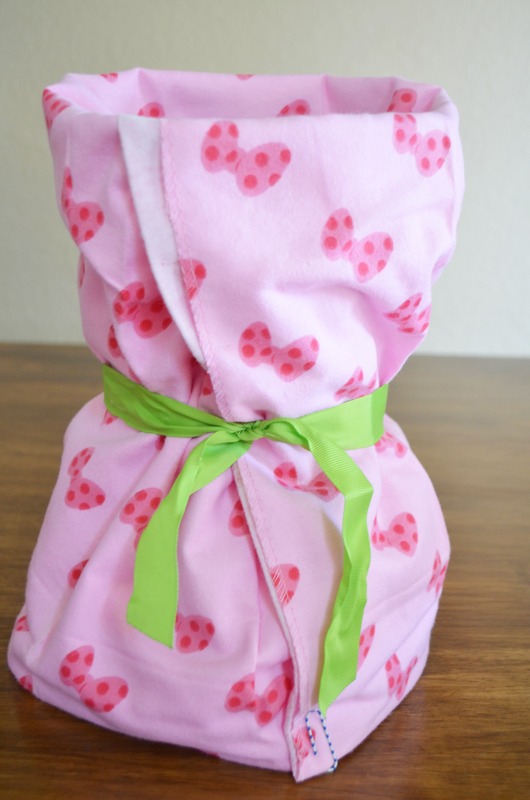 Wrap the blanket around he diaper stack with the fold at the bottom. Place a paper clip at the top and bottom of the seam. Tie a ribbon around the middle to create a waist. Place the bow in the back over the seam. 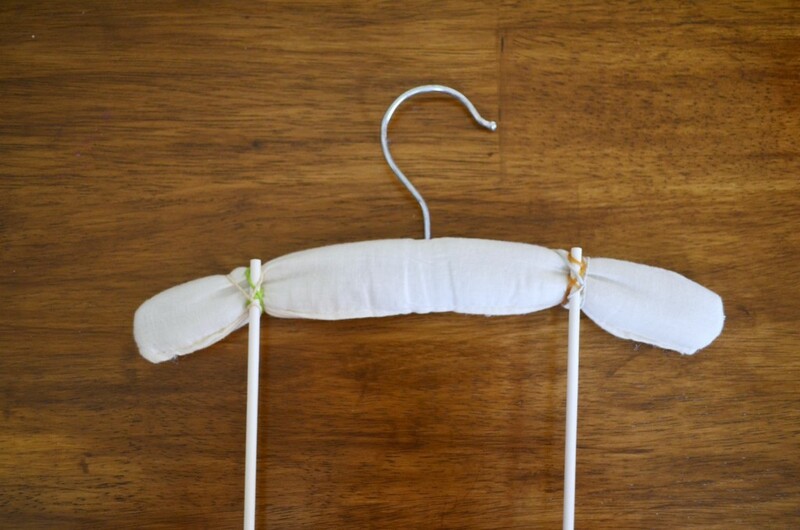 Twist a rubberband tightly around the each end of an infant hanger. Slip a lollipop stick into each rubber band. Slide the sticks into the top layer of the diapers. Knot a ribbon over the rubber-band on each end. Drape each end of the knot over the stick and tuck into the diaper. Place a teething necklace over the hanger to act as a necklace. All that’s left to do is assemble your basket. Use a book with a personalized inscription in place of a card. It’s the perfect way to help build baby’s library. 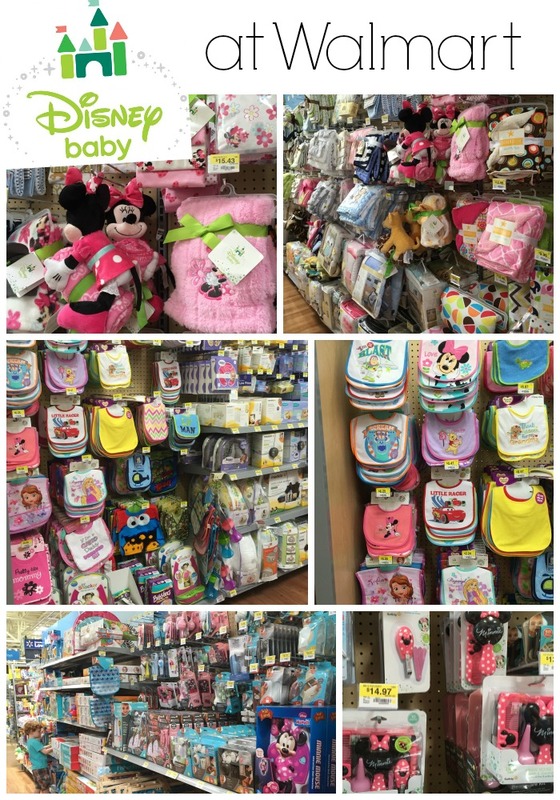 Checkout Walmart in store and online for a fantastic selection of Disney Baby products. They even have an adorable line of baby gear! Which is your favorite Disney Baby item? Share in the comments below.